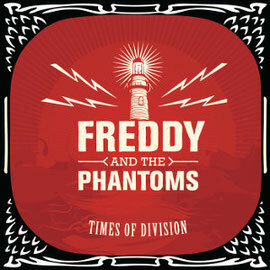 Danish blues-rock group Freddy and the Phantoms based in Copenhagen, will release their third album "Times of Division" through TARGET RECORDS on January 26th 2015. 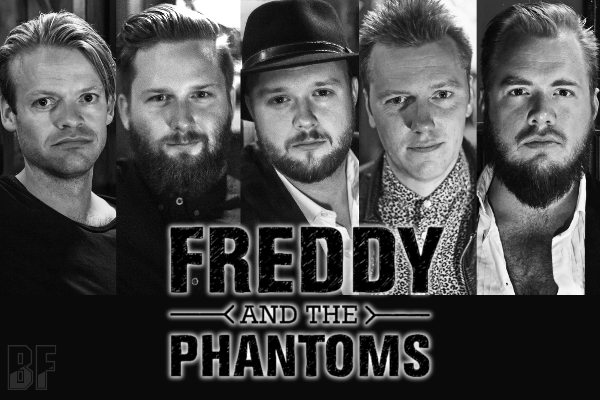 Freddy and the Phantoms have already convinced the Danish rock press, played more than 85 concerts in 2014 and received massive airplay on Danish national radio. Praised as a Danish version of the retro blues rock wave lead by Rival Sons and Graveyard, Freddy and the Phantoms is about to embark to the conquest of Europe with this new album. "Times of Division" is an album of pure riffrock, fuzz, guitar harmonies, over-driven hammond organs and bluesy raw vocals. Lyrically the album addresses the feeling of standing at the crossroads. Their public breakthrough was the massive tour in Denmark for the famous Danish comedian Frank Hvam (known from KLOVN) as house band in 2014 and as a live act Freddy And The Phantoms has impressed audiences all over Denmark. They played at Smukfest 14 (one of the biggest festival in Denmark) and proven themselves as a band of international quality, also they have supported for the legends as The Eagles (US) and Rick Springfield (US).